Do you want to check if empathic communication (Nonviolent Communication – NVC) is for you? Do you have questions concerning practicing NVC? Book your free 60-minutes individual training via Skype! If you already know the basics of NVC, we can deepen the topic that interests you the most. Also, I love working on real examples, so if you have a difficult situation, we can look at it together using four steps of NVC. We will create this meeting together! I support people in creating satisfying life and relationships (personal and professional) through individual trainings and group workshops deepening communication skills. I help in implementing Nonviolent Communication (NVC) in relationships, companies and non-governmental organisations. My work is based not only on Nonviolent Communication (NVC) created by Marshall B. Rosenberg, but also on non-formal learning methods and on Coaching for Transformation approach. 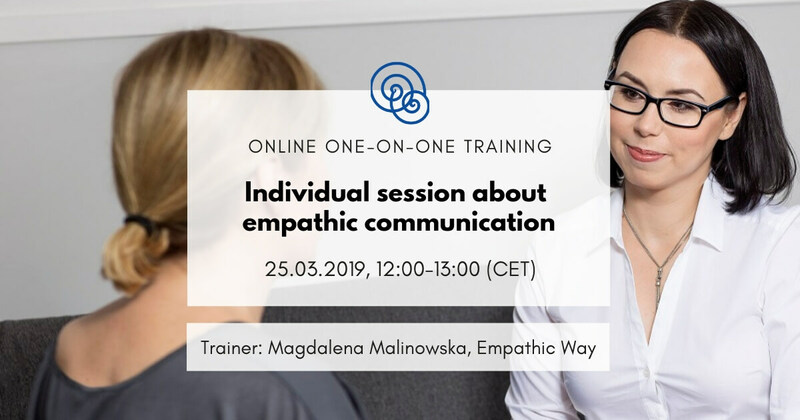 I founded Empathic Way (www.empathicway.pl), through which I promote Nonviolent Communication and teach honest and clear self-expression and listening to others with respect and empathy. Empathic Way Europe is my new project aiming at reaching people living in the whole Europe. 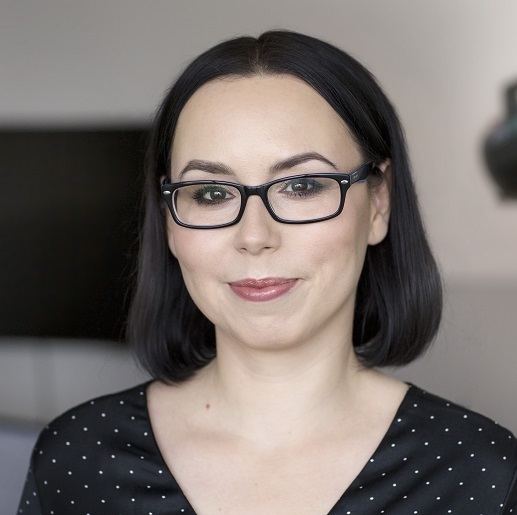 I run the Warsaw Empathy Group, I offer training courses and individual support. I am the author of the online course “Four steps to a better relationship with others and myself” (at the moment only in Polish). I got to know Nonviolent Communication in 2010. At the moment I am on the path to CNVC certification.